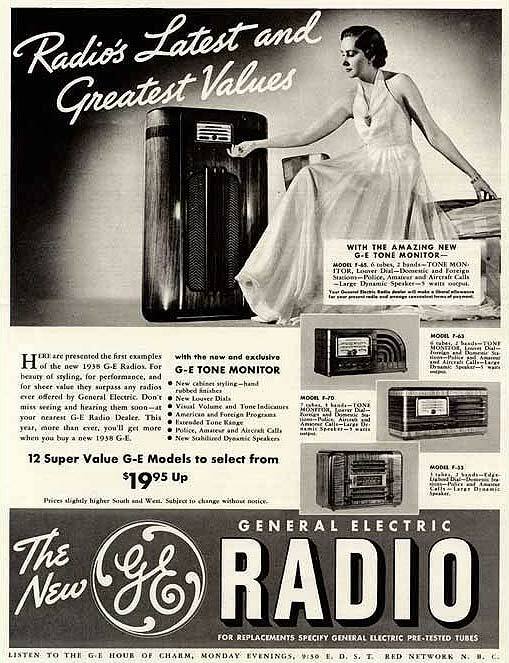 General Electric introduced the F-63 alongside with the F-65 console, F-53 and F70 tabletop sets in in late 1937 as a 1938 model with new cabinet design elements. I found this nice streamline General Electric F-63 at an antique store in Houston near the coast. 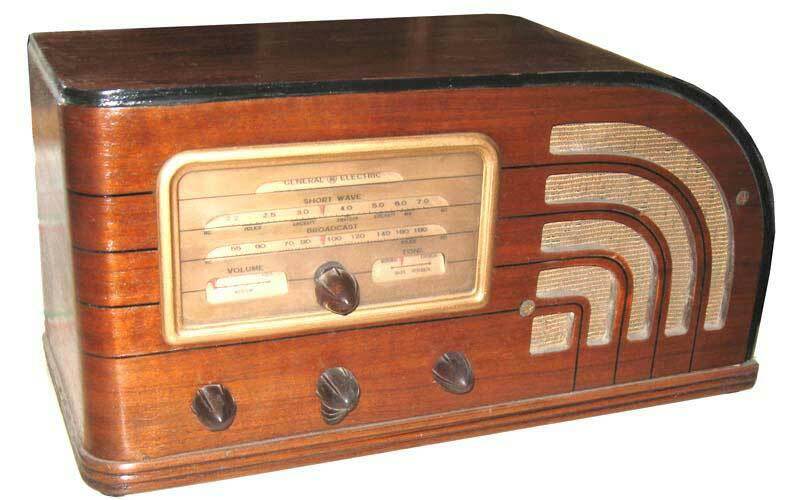 The radio was initially in bad shape. The chassis was badly rusted that it had to be repainted and the speaker was missing. The dial was badly corroded and unreadable. I'm thinking it may have seen a few hurricanes in its lifetime. Undaunted, I bought the radio and put in a little elbow grease to bring the radio back to life. The dial was repainted gold and the new text was made in Microsoft Paint and printed on a transparency to be placed on the dial. I probably could have done better with silk screening but did not have the technology available. The radio looks significantly better than when I found it though. The reproduction dial image is shown below.